No matter you a startup business owners or established SMEs? What really important is, having a website, because digitalization has taken over business robustly like never before, and has become a necessary part of marketing. Therefore, every business owner, whether startup or SMEs, want a professional website which is affordable and at the same time easy to manage as well as run. Well, the solution to this is WordPress website development, a completely free software program, which enables developers to creates exceptional websites. Wordpress is being used by all type of website (over 74 million websites) to post new content. Moreover, 26% of all websites on the internet is powered by WordPress. This simple-yet-powerful, content management system has become popular among both web-savvy users and web-novices. Moreover, WordPress is cost-effective CMS, with numerous features and benefits. You can realize the growing popularity viewing the CMS statistical report by W3Techs which states that 59.9% of all the websites share is owned by WordPress. Joomla is at second position with 6.6% market share and is followed by Drupal, with a 4.6% market share. As WordPress is an open source its usage is free. Therefore, you can download, install and use according to your requirement. Using WordPress development services, the developer can create a highly-customized website as per their client’s preferences, making it fully functional. Moreover, WordPress website can be easily adapted to incorporate new technologies in future. Well, in this competitive era, it is mandatory to follow SEO trends on the website. Hence, to boost the conversion rate you need to have website language that your target audience knows and understand. WordPress, allows you to create a multilingual website easily ( i.e. you can choose from 70 different languages) by simply installing a multilingual plugin. This feature allows visitors to switch languages and browse site’s content, just by switching their preferred language. 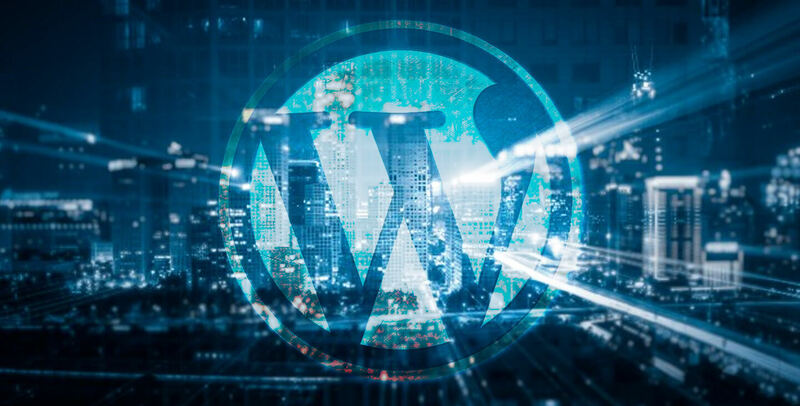 Very often, people confuse that being an open source, WordPress is vulnerable to hackers as anyone can access the code easily. However, this is not true. To overcome the security concern, a large security team is appointed to make your website more secure, hence your blog is less prone to hackers. No doubt, WordPress is the most popular CMS on the market, so you can choose 3rd party applications that can easily be integrated with your WordPress website. WordPress offers freedom to choose the best application for your website. One of the most important functionality of WordPress is the availability of tonnes of free plugins. And this helps WordPress developers to add the extended functionality of the website. Apart from this adding specific features like designing, backing up your website, SEO, social media, security, multimedia integration, amongst others is also quite easy and simple. Here, we come with end-number of reasons why to go with WordPress. From different aspects, be its flexibility, abundance option for design, airtight security, budget-friendly, or SEO, it offers complete CMS package. Hence, if you are planning to revamp your website or looking to launch a new website, hire WordPress development company to benefit your business immensely.